← Humanities and Social studies networking night for all those who are interested! Come out to practice networking and make some contacts! 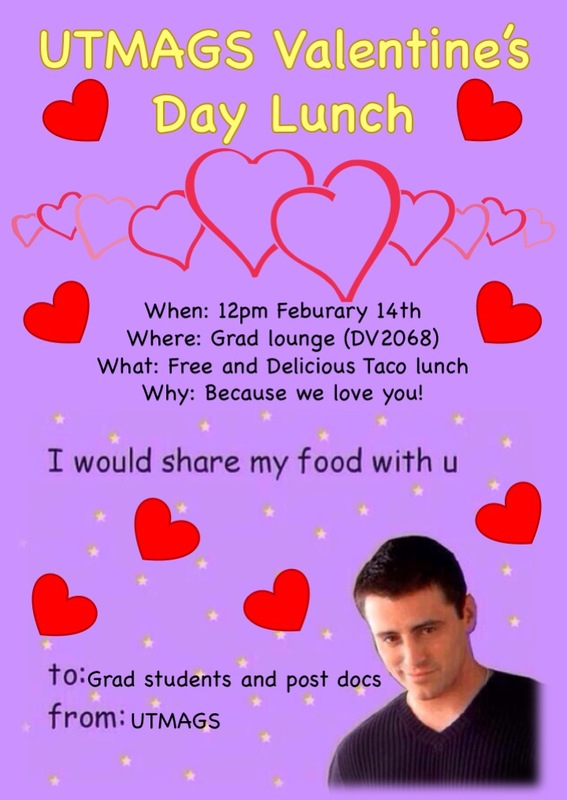 The spirit of love is upon us and UTMAGS will be holding another free lunch for grads and postdocs! We will be celebrating Valentine’s day with a taco lunch on February 14th at 12 pm in the grad lounge. We hope to see everyone there!